Sa’ håfa na bai hu eyak fumino' CHamoru? 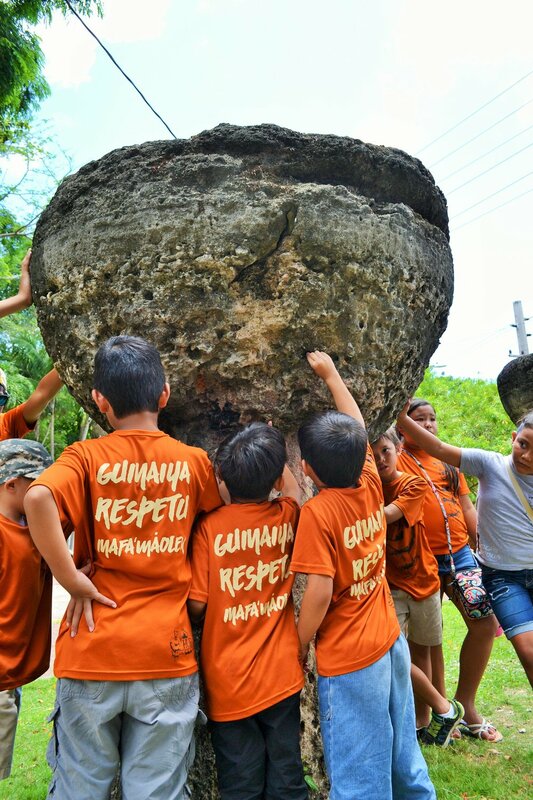 Our mission is to promote and perpetuate the Chamoru language and culture in honor of the past, for present and future generations; through community immersion education and other programs in support of this mission. Fino’ Chamoru ni’ gai fondo yan gai adilånto gi iya Guåhan. i fine’nina na prugråma ni enteru “sinipok” para u akudi i nisisidåt i kumunidåt ni’ chumachatsaga mumantieni i mismo lengguåhen-ñiha. Gi ma kontenuhan i mision-ta, siempre guaha inadilånto gi linakse’ yan i ma usan i fino’ Chamoru. in an effort to address the need for a stable and successful Chamoru language program on Guam. 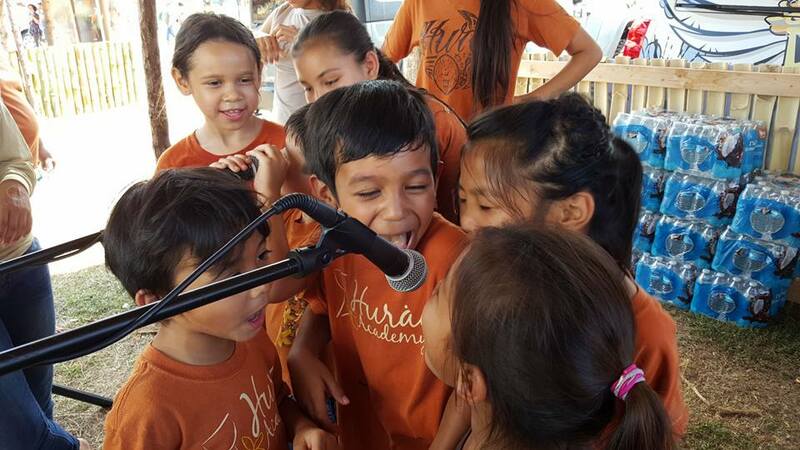 Established in 2005, Chief Huråo Academy is the first “full-immersion” Chamoru language program to meet the needs of a community struggling to preserve their language. Continuing our mission will lead to an increase in fluency and usage of the Chamoru language. the sustainability of Chief Huråo Academy and help extend our mission beyond our usual confines and throughout the island. In sen agradesi ni’ Eskuelan Maga’låhen Huråo todu i sinapotten i kumunidåt, todu guini yan gi sanlagu. Manhula’ ham na para bai in kontenuha i nina’siñan-måmi para bai in chennek i prugråma siha para bai in enra i mision yan i lini’e’ mo’na gi tiempo. of our mission and vision. Select your gift level + click Subscribe. 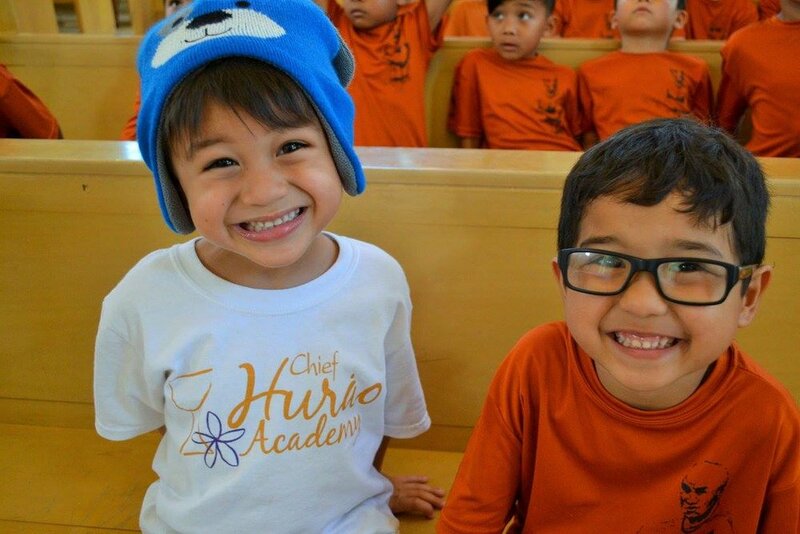 Chief Huråo Academy is a tax-exempt non-profit organization that falls under the category 501(c)(3).